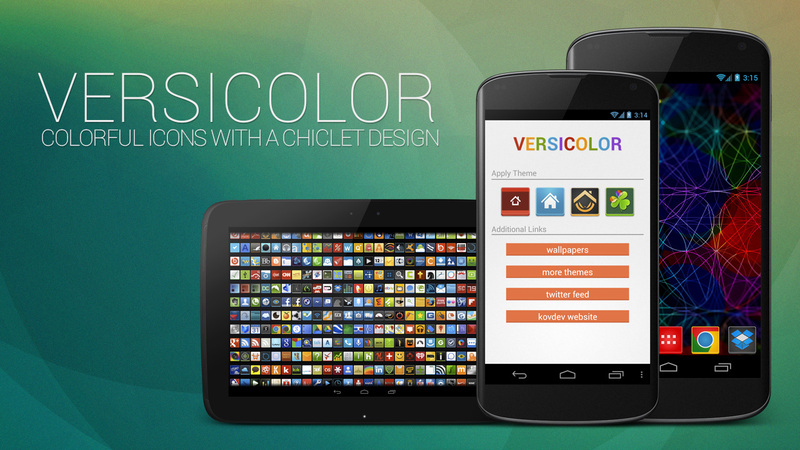 Our friends over at kovdev recently launched their newest work, Versicolor to Google Play. Kovdev is responsible for great work like Lustre and Tersus, that we have featured countless times in our screenshots here on the site. Versicolor brings that same clean, minimal-feel, but with a touch of color surrounding the borders of each icon. There are different color packs to choose from and some are even free (like DL Pink), so finding one that fits your tastes is easier than ever. As a bonus, each different color pack comes with matching wallpapers. They have offered up 20 of their new icon packs for our readers, so let’s skip the nonsense and get right to it. Prizes: Twenty (20) people will win a single Versicolor icon pack of their choice. Winner can select from Orange, Purple, Blue, Ash, Green, Red, Orange, and Original. In the comments below, tell us how you’re celebrating St. Patty’s Day! Winners: On Monday (3/18) at 10AM, we will choose twenty winners randomly from the comments below and email them. To see the whole selection of Versicolor packs on Google Play, click here. Question of the Day: What's Wrong With Plastic Smartphones?